Words and Music by J. F. Mitchell. Sure everyone tells me I look like a Jap. And the " Flowers that Bloom in the Spring " tra la lay. The red-headed, squinty-eyed Mick from Japan. Here's a how-de do! Here's a how-de-do! She looks as if struck by eternal surprise. 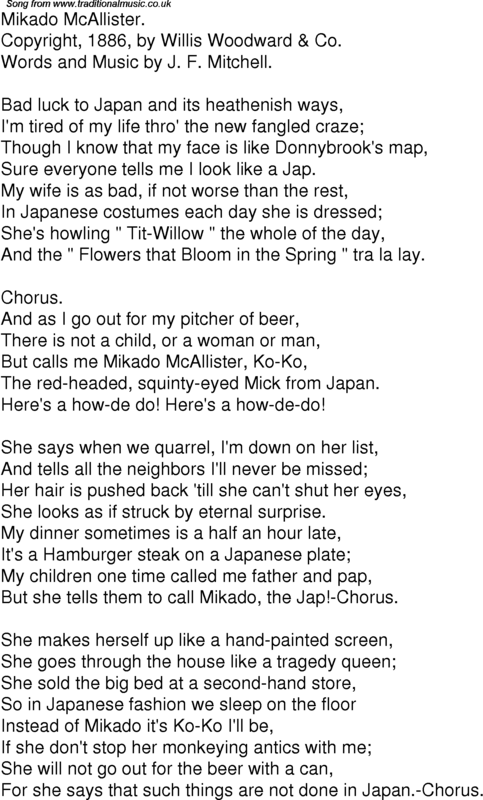 But she tells them to call Mikado, the Jap!-Chorus. For she says that such things are not done in Japan.-Chorus.